I've really got a thing about meaningful jewellery. When I was in my teens and twenties, it was all about quantity rather than quality and I'd go out and spend my hard earned wages on all manner of tat from high street stores - you know, the cheap stuff that would break super easily and turn your skin green if you wore it for longer than ten minutes ;) I didn't have any favourite pieces, in fact I fell out of love with most of them pretty quickly, so I didn't look after them - I just replaced them every pay day! Over the past few years though my mindset has changed. First and foremost I HATE this throwaway society that we have become. I don't believe in buying cheap stuff and throwing it out when I'm done with it, I prefer to buy things that are classic and timeless, that I will cherish, and that means something to me. Kaya Jewellery is an online store that has recently launched in the UK and stocks some gorgeous personalised pieces of jewellery, including a wonderful range of quality children's jewellery - and matching Mum and Me and three generation sets too! Aside from their large collection of brilliant gifts for you to treat your loved ones to, they also like to give themselves and so donate part of their profits to the Eduki Foundation, which is a charity that helps underprivileged children in Gambia get an education. Last year their donations paid for the school fees, books, school dinners and uniforms of ten children! It is important to them that we all set a good example to our children, and I think this is a really lovely concept. With Mother's Day fast approaching (THIS SUNDAY! How can it be March already?!) they very kindly offered me a piece from their website - and I chose a beautiful monogram pendant, which is a piece of jewellery I've lusted after for a long time, since changing back to my maiden name after my divorce. I went for a 33mm diameter pendant, which is the largest of three sizes available. I also chose an 80cm box chain which is longer than all my current necklaces and meant I would be able to layer them easily. 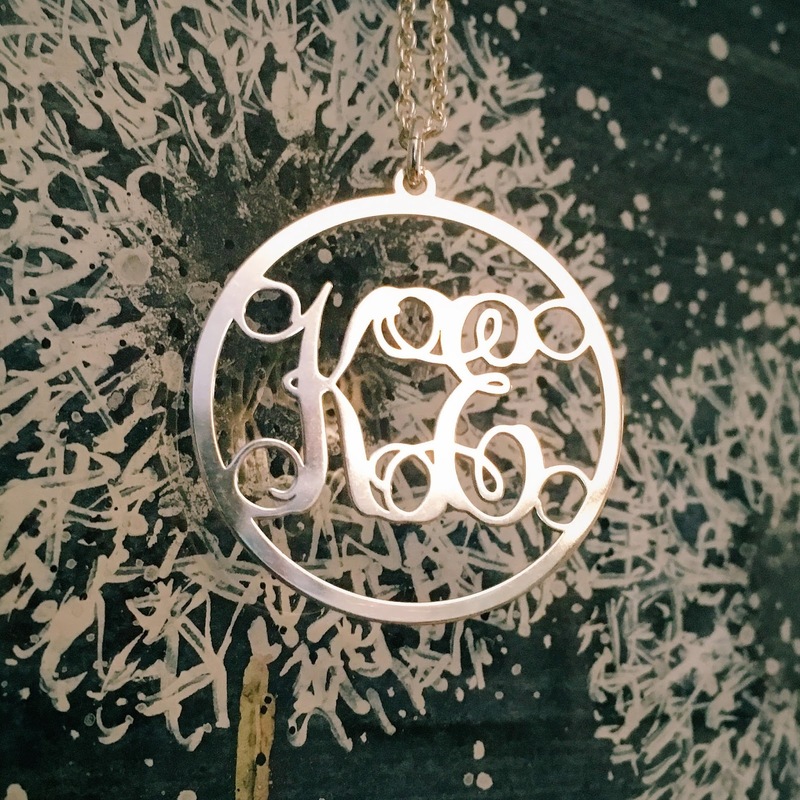 Both are made from .925 Sterling Silver and the pendant can contain two or three initials. It arrived beautifully packaged and really would make a wonderful gift - you could even incorporate the initials of your children if you'd prefer! Other things I especially love about Kaya Jewellery are that each piece is handmade in the UK, they offer a complimentary gift wrapping service and delivery is quick and free! Want to know more? You can find them on Facebook here. 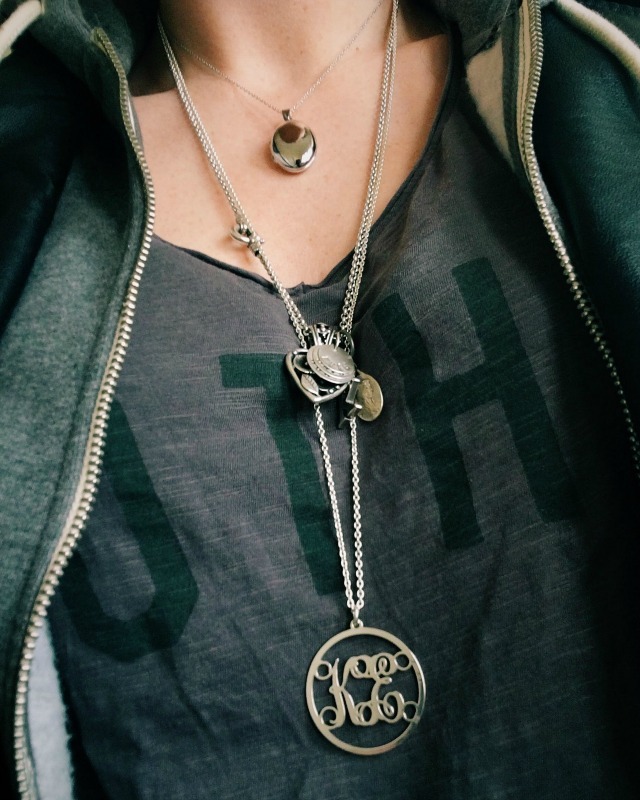 Disclaimer: I was sent my pendant necklace for the purpose of this review and, as always, all words are true and my own. I am also thrilled to be able to offer you all 15% discount on all orders up until the end of this year (31 December 2016). Just use the code 'jewellery15' at the checkout. And as if that wasn't amazing enough, Kaya are also giving away a free silver bracelet worth £24.95 with every order over £50 placed before Mother's Day. (See website for details). Happy shopping!